Have you ever heard laughter that cracks you up even before you hear the joke? Or have you worked alongside people who like to laugh in ways that speed the clock during boring routines? Workplace stories such as Carol Cortisol’s Certification Day, that leave people laughing, or Sam Serotonin’s Pizza Pandemonium that teaches caring through comedy, also leave lasting impressions for good. When I taught at McGill University, and worked with Inuit in the most Northern communities on Baffin Island, we laughed a lot when my English smacked up against their Inuktitut in ways that neither language made sense. Laughter crosses over words, melds ages, bridges beliefs, and draws the best from brains, often separated by barriers few can cross well. Have you seen it happen? Laughter’s also the best balancing elixir of the human brain, and yet still tops the missing-medicine-list in most workplaces. Does hilarity hail from your circles? If you’ve felt tensions flee in the wake of a simple joke, hooted over funny faux pas, or cut up over one-liners when least expected to double you up – you’ve likely also seen humor’s upshot to the brain. Humor’s especially effective when people laugh at themselves, in ways that lift morale, reduce tension or communicate differences in side-splitting style. The man behind the hilarious memes, Ben Huh, gets 170 million visits to his online site daily because it gives 5 minutes of laughter a day. Not surprisingly, participants consistently rank humorous speakers as most effective, and humorous peers as favorite. Do you? It’s also true that, while research shows how lectures tend to work against human brains, at the same time, humor open minds to learn and retain more. Unfortunately, some still wield humor to diminish people who differ, yet self-deprecating humor often attracts unity from differences. At its best, humor disarms people from attacking ideas presented, so that comments and questions pop up to replace circular counter arguments that that fail to find conclusions. You needn’t develop the skills of a successful stand up comedian to see laughter work in your favor. Bantering can also increase a person’s chances for promotion, can ease negotiations in arduous meetings, and can even build trust among colleagues or clients. Have you seen it happen? Simply because humor involves additional operations and areas of the brain, it can also help people to remember more information, and can aid a person’s transfer from cutting edge theories into highly competitive practices. Experts recommend humor to release endorphins, trigger health, increase relaxation, and alter brain chemicals in the direction of winning. How so? 1. Release endorphins into the brain so that pain can be reduced, and people appear happily distracted from difficult situations. 2. Trigger health by stimulating the immune system and connecting mind and body exchanges in positive and healthier ways. 3. Increase relaxation through added oxygen to the brain, better air exchange and fuel for deeper thought or learning. 4. Alter chemicals within the brain, in ways that reduce stress, lift emotions and contribute to and sustains a sense of well being. Check out recent research on laughter’s exilir effects as it ratchets up both emotional and mental health, and you’ll likely set an agenda to bring more deliberate humor into your life and workplace. Hello.. This is a great info. Thank you for sharing this post here for all of us. I think that this is a great information. I love to read this and will refer more people to see this. Wonderful post, Ellen. It reminded me of the story of Norman Cousins. Back in the 60s he was diagnosed with cancer. He reasoned that if negative feelings can impede recovery, why then positive feelings could be helpful. So he had jokes read to him and watched hours of Marx brothers movies, laughing uproariously. In a time when almost no one beat cancer, he did. You make a great case for the place of humor in genius thought, Conrad. Einstein PLAYED with ideas a great deal and imagined himself riding the curve of the arc! It may never be popular to laugh and play with great ideas, in any mediocre bureaucracy though. Even Einstein got turfed out of school in the eighth grade for daydreaming! I think too many people confuse the role of humor and serious intent. Humor doesn’t detract from serious intent, it enhances it. Because something is humorous doesn’t make it fluff. It is much more likely from what I’ve read that a comedic actor will be able to successfully carry off a dramatic role than that a serious actor will be able to do comedy. The best minds swim in and out of both waters with ease. Conrad thanks for the laugh – which made my day. 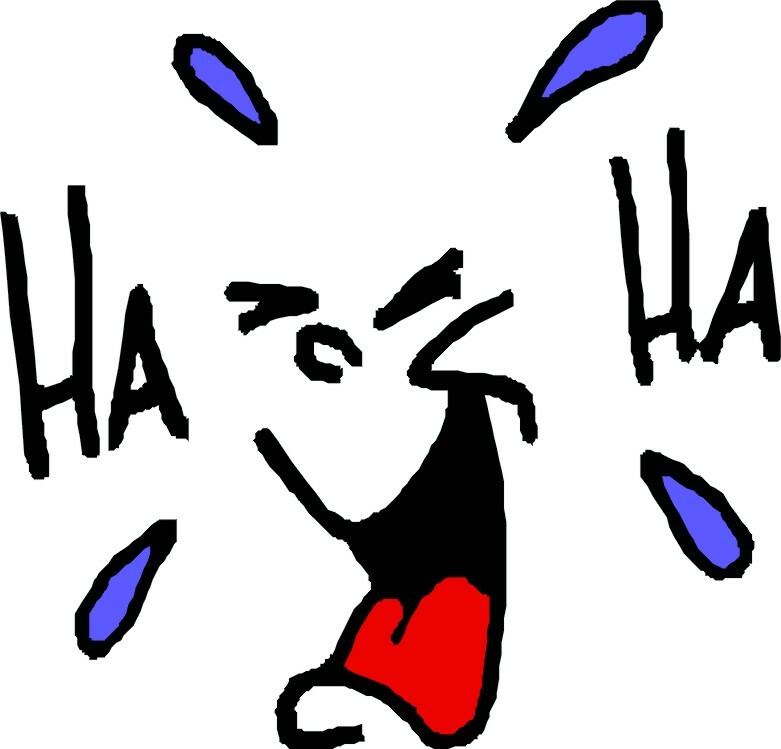 Just back from facilitating a wonderful roundtable of leaders who know how to laugh – and what a difference!! Why do some laugh far easier than others – as you see it? As you know, Ellen, I find no place for humor in the blogosphere or in my life. What we are doing here is deadly serious. Yeah, right! We can all feel what humor does for us, but leave it to you to actually KNOW! Good stuff! Robert, not only the healthiest — but with all the equipment to inspire the same health in others through humor! Thanks for the way you do it time and again. Humor can leak out when others forces zap in to replace it as pressures mount. Those skilled in its tools – can help in tough times where others get stranded in the mire as their brains default back to panic:-) All to say thanks for showing us all how it works! Man, I should be the healthiest Bubba on the planet! Those of us who love to laugh at life know the benefits of laughter when life wants us to feel otherwise. Notwithstanding the need for serious effort, at least we can always “laugh about it one day”! Thanks Andrew, for the thoughtful reminder that laughter and anxiety cannot both operate at the same time in human brains. You said it better than I did! I have tried this several times and found it extremely difficult. Also difficult, I have found, is laughing and focusing upon your problems and worries at the same time. I am no expert, but anyone who doubts the benefits of laughing should try doing more of it, and they would find that laughter gives one a healthy, positive, upbeat orientation toward life. You’re also a lot of fun to laugh with Robyn, and it keeps the MITA Center alive – especially when you’re around! Thanks for your fun brand of laughter! Laughter can change a climate in seconds. The most together people I know laugh at themselves. Nothing boosts your day like a great belly laugh!